A significant portion of the transactions that take place in our office is made up of recurring clients or clients who were referred to us by satisfied past customers, indicating customer satisfaction and a continuing vote of confidence. Century 21 Jerusalem is the leading office of the 50-branch Century 21 franchise in Israel for the past 21 years. 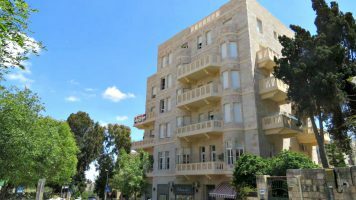 Century 21 Jerusalem is committed to providing its local and international clients with the highest standard of personal, professional and reliable service, to which they are entitled to. The customer is our most important asset and we continually strive to make the real estate transaction a pleasant and successful experience to the full satisfaction of our clients. Our ultimate goal is that our new clientele will ultimately become part of us and our organization and join the hundreds of satisfied customers that have joined our ranks throughout the years. As an active and respected member of Jerusalem’s business community, Century 21 Jerusalem maintains lasting relationships with Jerusalem’s best real estate and related business professionals, including mortgage bankers, attorneys, appraisers, architects, engineers, interior designers, contractors, and entrepreneurs. These relationships provide us with the means to offer our customers a truly complete service, covering all the issues and needs you will encounter from the moment you decide to start searching for a property until the moment you are comfortably settled in. A dedicated professional realtor will learn your needs and assist you with locating the property most suited to your requirements. 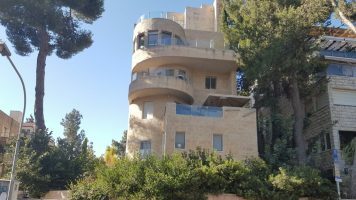 A funding advisor will guide you through the maze of Israeli mortgage banking until you have found the most suitable mortgage and appropriate bank for you. A legal advisor will introduce you to a professional attorney capable of protecting your interests, and provide guidance with any additional legal issues that may arise. A renovation and decoration advisor will introduce you to architects, interior designers, engineers and contractors that will customize your new property in full accordance with your demands. Residential properties – buying and selling. Accompanying investors and entrepreneurs in real estate projects, from locating the property, through the creation of a market-appropriate business plan till the property marketing stage and sale, with emphasis on profit maximization. Organized buyer groups for property purchasing at prices 20%-30% below market value.